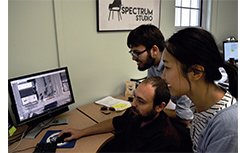 Graduate and undergraduate students can enrich their educations and gain hands-on experience through a variety of programs, including internships and graduate assistantships. 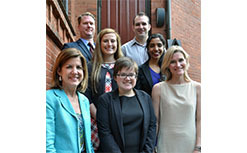 We also co-sponsor the UGA Master of Public Administration program. 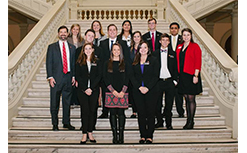 The Vinson Institute Fellows Program is an educational opportunity for UGA's undergraduate students interested in state and local government. 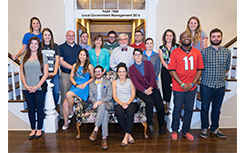 Students from Georgia's public and private universities and colleges gain firsthand experience in the lawmaking process. Learn more about the School of Public and International Affairs at the University of Georgia and its Master of Public Administration (MPA) degree for a comprehensive learning experience. Learn more about our undergraduate and graduate experiential learning opportunities that we offer each semester. 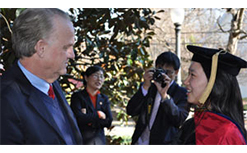 View information on graduate assistantships and undergraduate internships with our International Center.